PureVPN never ceases to amaze its users when it comes to seasonal deals, exciting new offers, and giveaways. Well, guess what! We are currently running a great deal that will surely entice you and your loved ones. 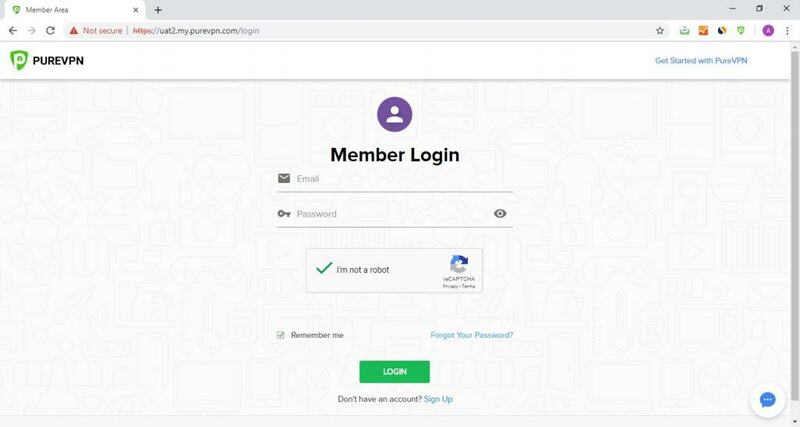 For the first time, PureVPN is introducing a Buy One Gift One (B1G1) deal that lets you send free monthly account invites to your loved ones. 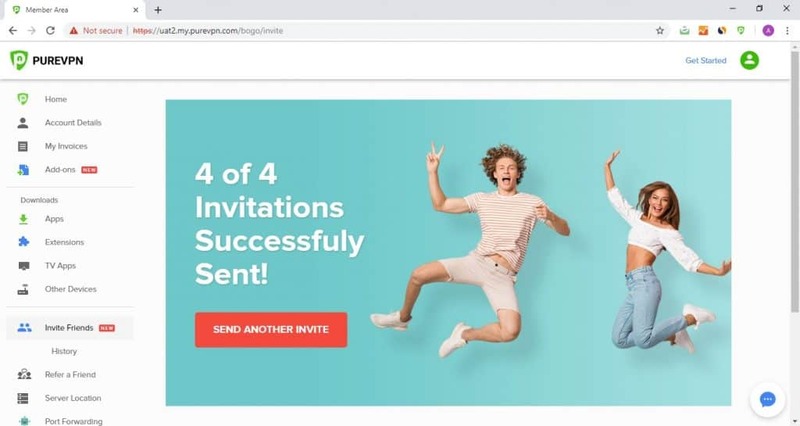 Read on to learn more about it and how to send the free invites. Our B1G1 deal is simple. You subscribe to your desired VPN plan, and you get an invite for a free monthly account which is worth $10.95. The B1G1 deal provides you with an opportunity to help the people you care the most. Well, you can’t ignore the fact that the cybercrimes are growing at an exponential rate. In fact, there’s a hacking attempt every 39 seconds in the US alone. Government and corporate entities are also after everything you do online, be it social networking, online shopping, online transactions, emails, and more. Once they are able to get their hands on your personal data, they abuse it however they like. 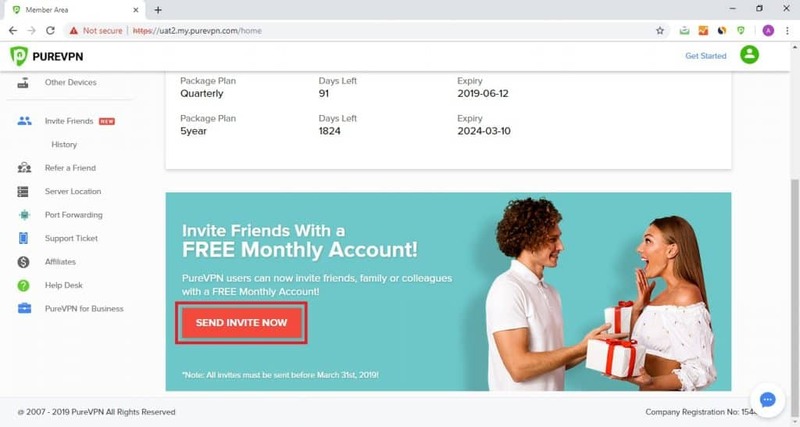 You can save not only yourself but also your loved ones from these growing online threats by gifting them PureVPN’s 1-month account for free. Voila! Your invitation is sent. How Many Free Accounts Can I Send? You can send only one free monthly plan per account. If you have multiple subscriptions, you can send multiple invites. 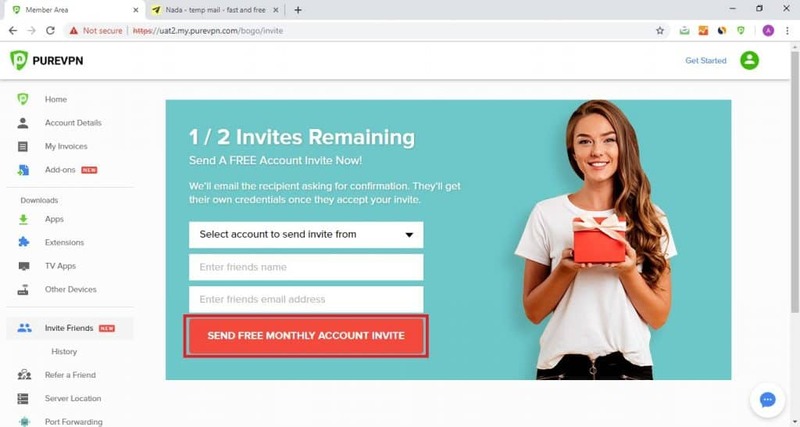 Can the Invitee Send More Free Accounts to Other Users? No, they can’t. The free account users are not eligible for the B1G1 deal. Can I subscribe to Add-ons While Using the Redeemed Monthly Account? You can’t do that either. Add-ons are available only for subscribed users. What is the Validity of the Invitation Link? The Invitation link will be valid for 30 days only. Are Existing Users Eligible for the Gift? No, you cannot send B1G1 invites to existing users.